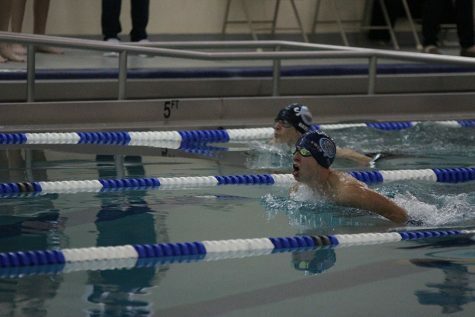 Coming in close towards his opponent, freshman Grant Nelson turns around to keep pace. 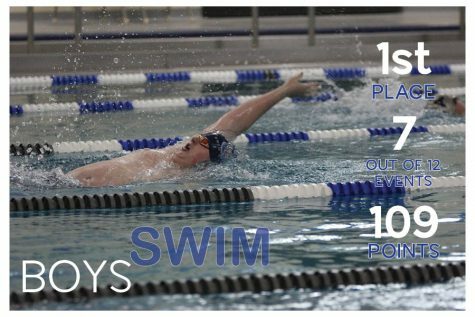 The boys swim team competed in their first swim meet of the season against Olathe West and St. James on Tuesday, Nov. 27th. 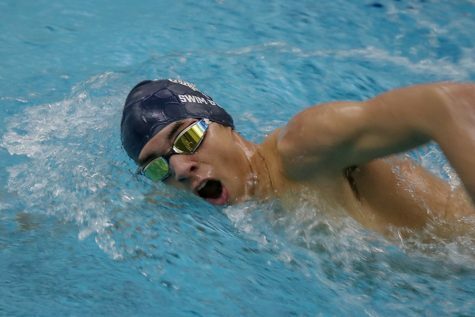 The meet took place at Mission Trails Middle School, where the team placed first overall with a total of 109 points. 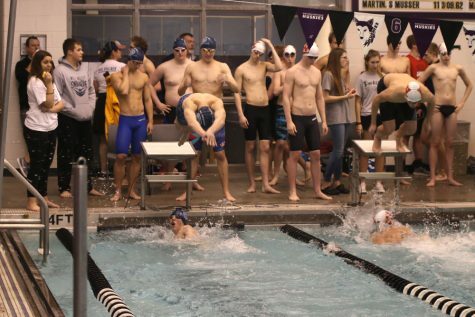 A relay team consisting of freshman Ryan Biven, junior Colby Beggs, junior Logan Myers and sophomore Cole McClure placed first in the 400 yard free relay with a time of 4:06.05. 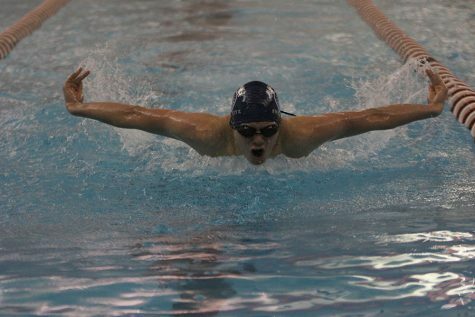 Overall, the team took first in seven of the twelve events in the meet. 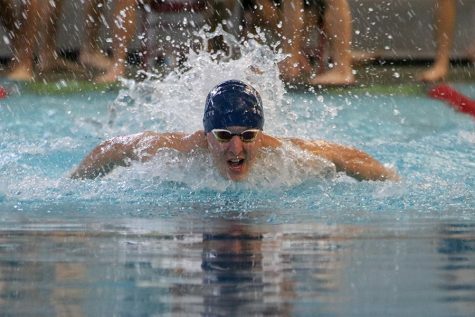 McClure was impressed with the talent displayed at the first meet of the season. 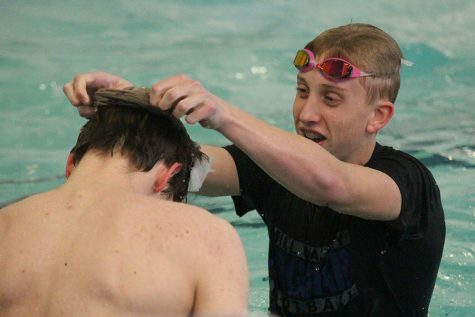 Beggs and McClure also separately placed first in two events. 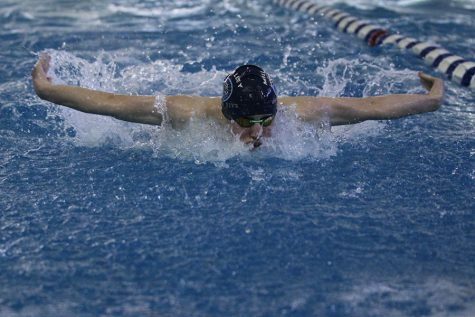 Beggs placed first in the 200 yard individual medley and the 100 yard fly. 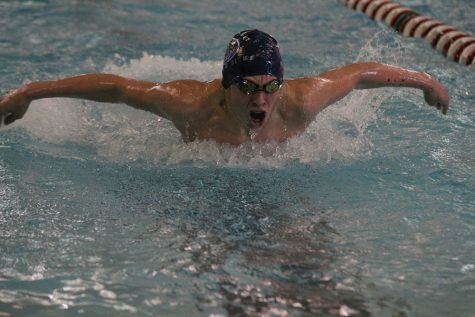 McClure won the 200 yard freestyle and the 500 yard freestyle. 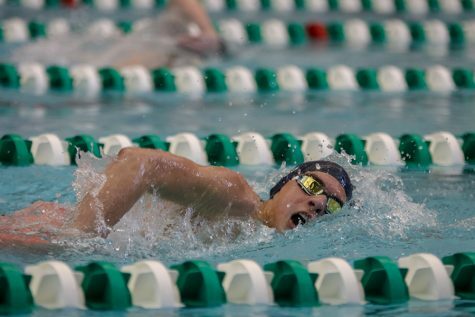 Junior Logan Myers competed in three events, placing first in the 100 yard backstroke with a time of 1:07.13. With the short time the team had practiced, Myers believed the team was successful. 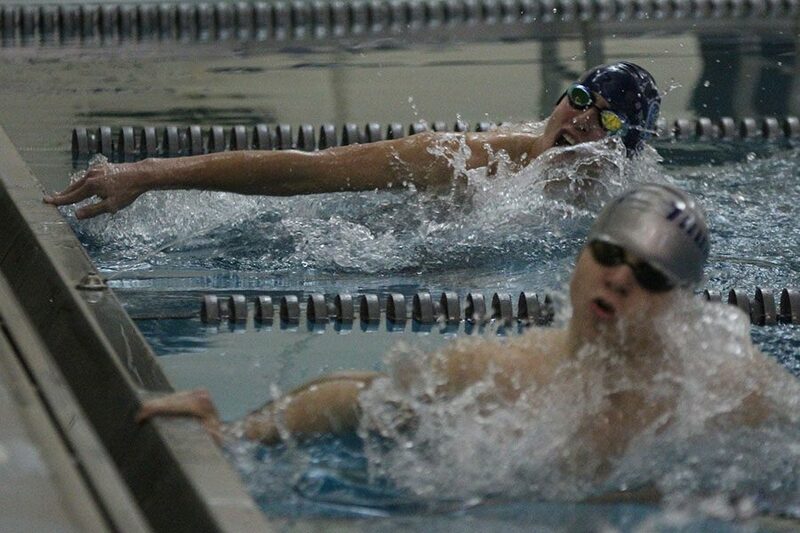 Swimming past his competition, junior Avery Lawson competes in the 100 yd breast. Despite the lack of preparation, Myers was enthused about the team’s performance. 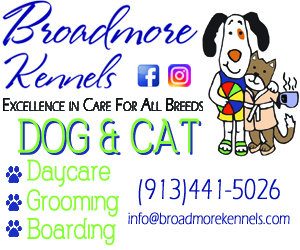 “The team did pretty good, [especially since] for a lot of [our members] this [was] their first meet ever,” Myers said. 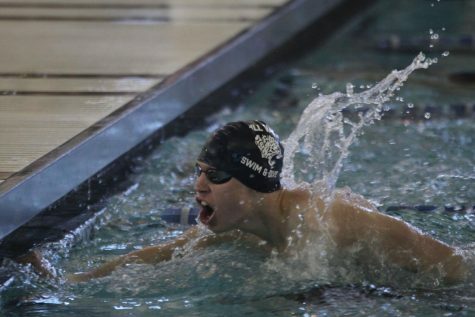 “For me, I got all first places which were really good and I got really close to a personal record on my back stroke. Looking ahead, McClure believes the energy of the team is strong. 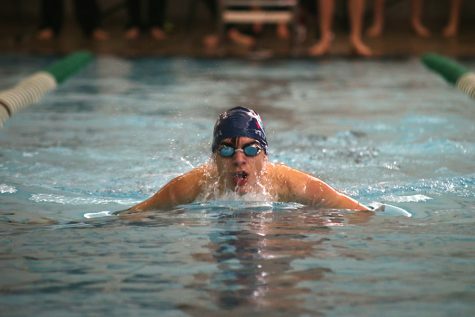 The boys swim team next competes on Saturday, Dec. 1 at Lancing High School.